World No. 1 Rafael Nadal was let off the hook in the Mutua Madrid Open final on Sunday when Kei Nishikori retired at 2-6, 6-4, 3-0. It was the fourth career Madrid title for Nadal, who it remains to be seen if the Madrid gift will be enough to restore the Spaniard’s confidence. It was the first Masters-level final for Nishikori, who climbs into the Top 10 for the first time. In the second set Nishikori requested a visit from the trainer for his back after the seventh game. In the third set Nishikori finally retired down 0-3. Nishikori says he will miss Rome and attempt to be ready for the French Open. Tennis is most fascinating, adventurous, glamorous as well as cruel sometimes to the players who eke out a living out of it and make it as their profession. All the professional players are well aware of the strenous test and struggles they need to endure to prosper. In a battle of survival of the fittest, only few stars glitter. The significant rest just sail on hopes waiting for their day. They are all pitted against one another where sometimes in a strange twist of irony, not even the best emerges victorious. Tennis has many matches where players end up on the losing side despite dominating most part of the match. Scores like 0-6,1-6, 7-6,7-6, 7-6 goes to show that a player who wins the most games not necessarily emerges victorious. It is all decided in the end by one or two points – what are called the big points and a net cord or a mishit shot or volley can ultimately do the trick. Just to see Nishikori struggling on court after dominating most part of the match was a cruel sight and it seemed he was comfortably coasting to his first Masters Series title. Nishokiri just djokovised himself on court dominated the match and made Rafa run hither and dither where he had to tremendously sweat it out in his bid of recovery. To do this against Rafa on clay courts require some taking. Ask Berdych as to how it feels to face Rafa on any court for that matter ? All was happening favouring Nishikori and suddenly he seemed uncomfortable in one moment and received some treatment on the back during the break and the precipitious downfall started. Rafa, a Champion he is, did well to stay composed and seize that moment to steal the match. But, I am sure Rafa would not have relished such kind of victory earned through walk over. He would have liked to win it comprehensively against a rampaging opponent. But in the end, success is success and it is victory that counts which gets Rafa his 27th Master Series Title – an incredible feat in the annals of the sport. As regards Nishikori, the saving grace is that he comes inside the top 10 and becomes World No. 9. He has definitely got the big weapons to win against super special opponents. But what is doubtful is whether he can sustain such a high level of play in a five setter ? That must be the real test for him. It would be interesting to see how Nishikori fares at Rolland Garros considering that this clay court season has been remunerative for him. ONCE KING IS ALWAYS KING. CONGRATULATIONS RAFA FOR HAVING 27 MASTER TITLES regardless what happened on the court. Vamos, Rafa! See you in Rome and Paris. Congrats to Metan, Alison, Okiegal and all Rafa fans for this stupendous feat of 27 Masters Series Title. It is definitely an incredible statistic and every Tennis buff will rub in disbelief. At 28, this man has 27 Master Series titles which means he has won 1 Master series every year right since his birth. I dont really know what Nick is getting at?lucks out again?granted Kei shouldve won this match no two ways about it,but sometimes players do get lucky,and going by Rafas face after the match who looked rather sedate its not the way he wouldve chose to win this match,i think to say he always by sheer luck alone is rather unfair but whatever? Thanks Michael but to be honest,i dont really feel like celebrating,as its not the way i would chose for my favorite to in a title,it doesnt somehow feel legit,and as Bad Knee Rules says it has proved nothing,never have i felt so deflated and quite down after a favorites win,it simply doesnt feel right :((…. Gotta feel for kei….what a match that was? I ve always loved kei’s game for his determination and the fighting spirit. He clearly came into this match with the confidence that he could beat nadal. He was clearly bossing rafa in the first and half of the second set, dictating points at will. Some of the shots he played,i was like flabbergasted….what angles, what power. I was seriously rooting for kei to pull this miracle, provided he played so good and would have easily been his biggest win and title of his career. And then, this ugliest thing in tennis happened….injury. but no wonder, with the kind of shots he was displaying, it was bound to happen. Happy that rafa won the title, which will boost his much needed confidence before RG….but I would have been ecstatic, if kei could have lifted his first masters title. Perfect Fan it must be the only time that im actually not happy about Rafa winning a title,in actual fact i feel pretty crap really,but nice post i agree with what your saying…. Alison. Yr post May 12th 5.45 am. So you think because Kei retired from the match this doesn’t count as a win for Rafa? How would you have felt had Rafa retired from the final of AO? Would you say that Wawa’s win was “legit” ? The turning point in the match came in the second set when Rafa broke Kei. Up until that time Kei was playing great and suddenly went to pieces. Rafa has come back to win many similar matches and this win deserves credit to Rafa for hanging on and ultimately fighting his way through. I do feel sorry for Kei. He is a great guy with a fantastic demeanour and will be a force to be reckoned with in the future. Vamos Rafa! Congratulations on your 27th Masters title. Alison. I don’t give a monkeys that you “feel pretty crap”. It is not about you, it is about Rafa winning his 27th Masters title!!! Thanks Michael. It was a bittersweet win, for sure. I certainly didn’t like the way Rafa won this tournament, but crap happens. Rafa didn’t enjoy that win either. The expression in his face said it all. But, I suppose that isn’t the first time something like that has happened, nor will it be the last time. Appreciate your kind words. We will now be subjected to all the articles and comments about Rafa’s 27th title being a sham, like it was his fault…….whatever!! After all things said and done, Rafa has come back from matches where he was getting kicked to go on and win. So we will never know whether that could have happened or not……just saying! Completely understand, how u feel hippy….but even this not-so-gr8-win will motivate rafa to do better at rome and to be his best at RG. I ve always believed that bad moments do show the path to achieve greatness. On a diff note, I feel kei is destined to do great things in future. This guy’s humbleness and the way he keeps himself grounded and focussed all the time….wins me over. If he takes care of his body (being so vulnerable to injuries), he could be a force to recon with. Wishing him a speedy recovery to do some unthinkable at the FO. Okiegal agree and not the way he,i or any of us would like to see him win a title,i wouldnt have thought?Stan and Andy lost early,and Roger and Novak didnt play,not Rafas fault,but i doubt many of the naysayers will see it that way? and for that reason im glad Madrid is now over,and we can now put it behind us and look forward to Rome thankfully,good bloody riddance…. Thanks Perfect Fan and i agree with the last sentence of your post,i like Kei very much and i think/hope he is destined for big things?he is definatly a very good CC player that is for sure…. countless times people have come out taking the ball early, ultra aggressive, hitting winners and blitzing nadal … for a while. the question is can you do it for 2-3 sets. there’s a reason people don’t normally play like that match to match. it usually doesn’t pay off. nadal could also come out playing very risky and blitz people for a while. but he’d eventually start spraying. or spray from the beginning. maybe nishikori could have pulled it off. but then he tries it again in paris and loses 626262 because he can’t hit the lines that day. often the strategy against nadal or even other top players is to come out swinging, playing ultra-aggressive, because they know they can’t win otherwise. it can be effective in bursts, or even matches. but as i said, there’s a reason people don’t play like that all the time. it’s too risky and doesn’t pay off long term. it makes it hard to play against though. someone who takes that strategy is basically saying, i don’t care if i lose the majority of the time against you, or even lose badly to you today, i’ll eventually zone for a match and get a win. and sometimes there’s not much you can do if it comes off, particularly in a 3 setter. the point is, the idea that nadal is suddenly looking bad because someone on a hot streak goes for broke for a match … well, it basically suits nadal if that’s what it takes to beat him. because percentage-wise, he wins over a season. Though Nadal’s play in finals may be a bit of disappointment, let’s not take away the great tennis he played leading up to the finals. Specifically the match against Berdych was a masterclass of aggressive clay court tennis. Probably the best tennis played by anyone so far in the current clay season. Maybe this is the luck Nadal needed to get rid of his mental block and play well in the finals. Nirmal Kurmar nice post you cheered me up a bit,thats the way i always want him to play…. ^Just to say if he is to lose on clay,at RG,or anywhere else then let it be because the oponent was better,and also if he wins its because he was better than the oponent,and not because his oponent was injured^. OK. now that’s pretty funny stuff. Er, the answer to that question seems to be `yes`. And with increasing numbers of players to boot. It probably (certainly I mean) would have been the situation again in this tournament but for poor Nishy’s ailing back. I get making lemonade out of lemons makes one feel better but let’s not get delusional. This really is a very out of kilter Nadal, who should consider himself most fortunate he has any major clay title in 2014. 3) Rafa came to play, as he always does. 4) Nish out-Rafa’d Rafa for the better part of the match. Giles @6.44am its not Rafas fault that Kei was injured,and he was able to capitalise as any player would do,i just doesnt feel right to me personally,as there will always be a question mark over the win,the win is tainted IMO,im just glad its all over and id rather forget it now and move onto Rome,just the way i feel sorry…. If you actually watched all of Kei’s previous matches in Madrid, you would see that Kei was broken down going into the final. But kudos to him getting through to the final. He has played a lot of tennis, won Barcelona —> Madrid to the Final—> top ten now, thank you very much. I have been waiting years for Kei to get inside the top ten – never doubted him. How he will remain there, I have no idea…maybe his fans and his country can carry him; so proud of Kei Nishikori. To me, Nishikori could have as easily retired before that Madrid semi- final. But what kind of hell press and media would he have gotten for that?! Nishikori needs to rest and recover….Nadal fans should understand that, if anyone does. Takes nothing away from Nadal’s win and zillionth masters title. Win is a win. The fittest man won, on the day, yada yada… and all those cliches, apply here. Congrats again to Rafael Nadal. Hey, he can use some luck. He has not exactly been on his typical King of Spring win a string of Masters 1000’s; there is still this last one up for grabs and he should get to the pointy end unscathed. The pointy end appears pointier than in Madrid. Papa Feddy bear is there. Nole Ole is back. The usual suspects, young and old, including dear Muzza are there. “2) Rafa was not at his best” – I don’t know how you arrived at this conclusion – his level of play in Madrid was very high, and nobody played as well against him as Nishikori, so there’s a strong argument that his less than stellar play was down to Nishikori. “4) Nish out-Rafa’d Rafa for the better part of the match.” This is totally inaccurate – Nadal’s game is not and never has been based on staying on top of the baseline, taking balls on the rise and hitting for pace as often as he can. So Nishikori didn’t “out-Rafa” him. He played his own game, and did so very well to the extent that he completely outplayed Nadal for a set and a half. “5) Rafa struggled, but didn’t back down or hand it to him & made Nish hit lots of balls” He does this every match and did him no good against Nishikori – Rafa’s level didn’t come up, nor did Nishikori’s come down until 4-3 in the second, a full 4 games after the first signs that Nishikori’s back was troubling him. “6) Rafa broke Nish down” That has to be a joke – look carefully at 2-1, 40-15. Nishikori serves a first serve that misses and he winces in pain – this is the first sign that his back problem was hindering him. Furthermore, Nishikori got treatment for his back against Ferrer, so you can hardly give him credit for doing so in just 15 games. I think you’re trying to argue that Nadal caused Nishikori to retire – if so that is the most incredibly executed strategic objective in the history of tennis. Realistically, it’s clear that Nadal was nowhere to be found until Nishikori started to have trouble with his back. Now, I follow tennis fairly dispassionately, and I can tell you that just last year in China, Fognini was playing as well as Nishikori for 1 and 1/2 sets, and Rafa game back from that deficit, so I’m not saying that he wouldn’t/couldn’t have done the same here. But that doesn’t change the fact that Nadal was outplayed by a long way until Nishikori’s started showing signs of problems with his back. As a matter of fact, I’ll go you one better – it is entirely possible that Nishikori’s back was no worse in the final than it was in the semi-final, and he simply wilted under the prospect of trying to do against Nadal, what he did against Ferrer. But again, that’s speculation – what we know is that for 15 games, Nadal was getting served like yesterday’s lunch. I read Rafa’s post presser and he said that Kei said it was his leg. I was wondering myself what was actually hampering him, if back or leg. He was limping, so it seemed to me. Now, I’m no doctor by any means, so the back pain might have moved into the leg?? 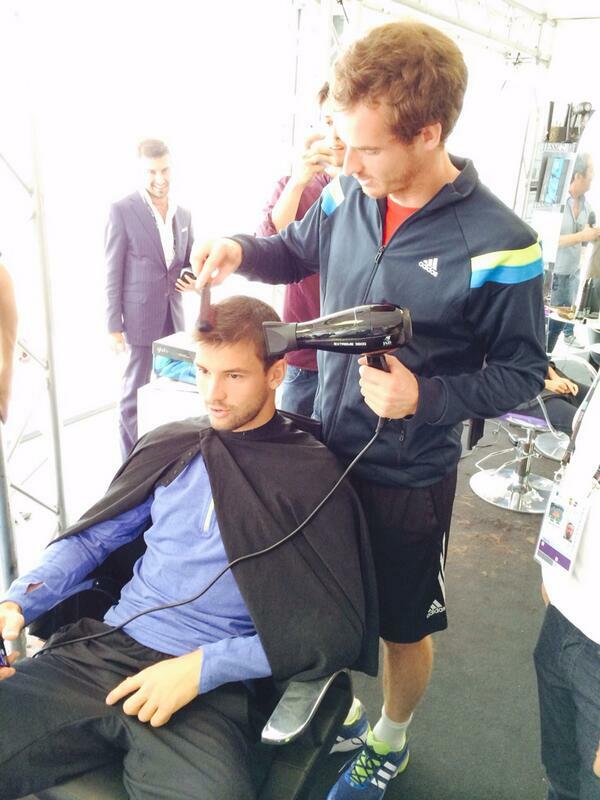 Don’t know…..but he told Rafa it was his leg. The back was what the MTO was called for. So, not for sure what’s worse, the back or leg?? But either one would hamper play. You have a point in terms of Nish’s game being tactically different from Rafa, but c’mon – anyone who can hang on the baseline w/Rafa & impose his own game over Rafa…well, that’s usually what Rafa does. a very tough match from which to recover in 24 hrs. You could argue that Rafa simply finished him off but on the other hand you have to admit, a few other top ten players would have gone down quickly the way Nish was playing – Rafa hung in there (I will fall out of may chair on the day I see him give up) & we all know the rest. Thanks……sciatic nerve pain is the worst, sufferers say. Hope Kei gets himself together for the FO. Best of luck to him! Contador@May 12th 6.39pm nice post…. The bottom line is that you are expected to be fit during any match. Lack of it doesn’t discount an opponent’s win irrespective of how well you play. Ofcourse Nishikori dominated the match right through and was playing some vintage Tennis out there imitating Novak’s plan of aggression against Rafa, but there was always this possibility that he cannot carry this kind of form right through the match and he would break at some point. Everybody cannot become like Novak. Cruelly for Nishikori, it came in the form of a back ache and that gave Rafa an opening and he smelled a nice opportunity to get back to business. So, he won. Deservingly or not. It is his 27th title and that will be implanted in record books. Five years from now, nobody will remember Rafa winning a match in such fashion. Everybody will be raving only about his accumulation of Master Series Titles. For me, a man who has 26 Master Series titles certainly deserves some luck of this kind. I am not denying Nadal his luck & he can only play what’s in front of him etc. But really, he was very lucky indeed this weekend lol. For if Nishikori was not injured, it probably would have been a straight setter for him for sure and what would that say about where Rafa is at now? Do we all have goldfish memories too? It’s not just Novak, but Ferrer and Almagro that have also done the business just recently & in as many weeks. Rafa has had a terrible clay season so far, even with this title. I dont deny he was lucky in this match,however the thing that p*sses me off is when posters use the word again,ie Nadal gets lucky again,also lucky in this match,and lucky in that match blahdy blah,he gets lucky sometimes,all players get lucky sometimes,its not as if hes the only one its hardly exclusive…. To me Federer was the truly lucky one…. But let’s not get into all of that! You make your own luck in this world IMO…. Errr i havent got the foggiest idea what your on about to be honest sorry? God, you are a tad bitter aren’t you? If one is prepared for luck one can then take advantage of it. Making your own luck is about getting out there and going for it but in tennis, and many other things its also about what is not necessarily under your control working out for you as well, no? Put it this way its some of the many adjectives used to describe the average Rafa fans as you yourself did when you called us retards,so i just thought id get one in myself before anyone else did and save them the bother,anyway thanks for the explanation i get what your talking about now…. No you’re being oversensitive and playing the victim card too. I didn’t say that Nadal’s fans were Tards. That’s not fair, true or nice. I meant Nadal’s fans that(now pay attention)ARE Tards. Or acting Tardy, if one casts the net further. Which might have been done in this instance. Cdp. What is the meaning of “tards”? Please explain. I know not! Tard is a shortened word for retard or retarded or mentally disabelled,still its not a very nice expression to use to desribe a person,whichever way you cut it…. Alison. I was being facetious in posing that question to Cdp. Wanted to see his response!